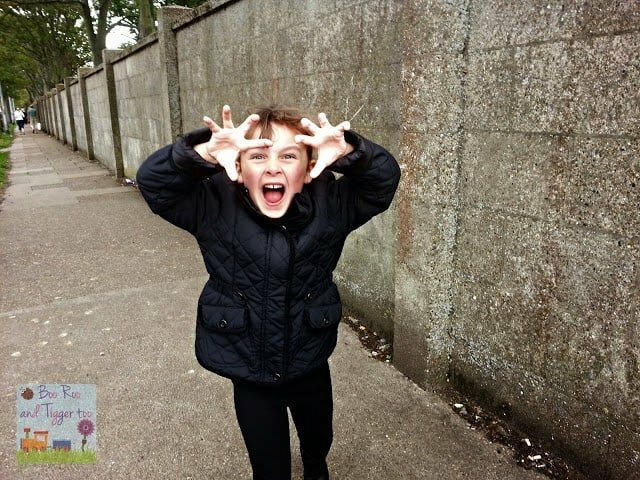 On the way homes from school on Friday afternoon I suggested to Roo that we go to the cinema on Saturday. We’d been meaning to go all summer to enjoy some of the new releases but somehow we never made it. After telling her the list of what was one she opted for Monsters University. So this morning I packed a bag full of drinks and goodies, no way am I paying the cinema silly prices for food and drink (please tell me I’m not the only one who does this) and we headed off to our local cinema. 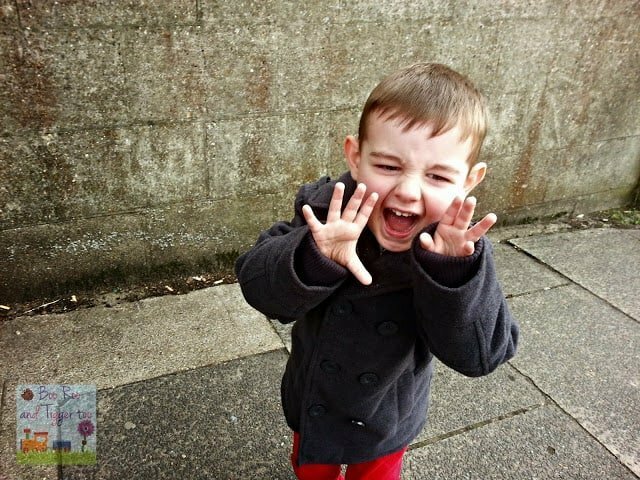 Luckily it is only a 5/10 minute walk from where we live so arrived with plenty of time to make sure Roo still wanted to see Monsters University. 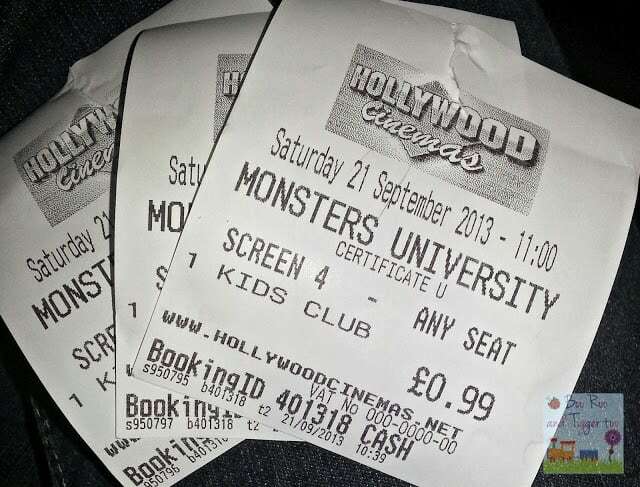 One thing I love about our local cinema is that they run a kids club on a Saturday morning at 11am which has some of the older new releases reduced down to 99p. So for just £2.97 myself, Roo and Tigger managed to see a film which is cheaper than the child/gold card price of £5.99 each (bargain). After having asked if we could have a couple of booster seats we made our way into Screen 4. There was only one other family in there so we had our pick of seats, although it start to get fuller as it got closer to 11am. Having brought a bag of goodies with us I handed them out to Roo and Tigger, Tigger is a fussy little so and so but on thing he really likes are Cool Original Doritos… so with a bag by his side he was happy. I on the otherhand had just received my first delivery of a Graze nibbles box so grabbed two of the treat boxes and then pondered which one I should eat first. 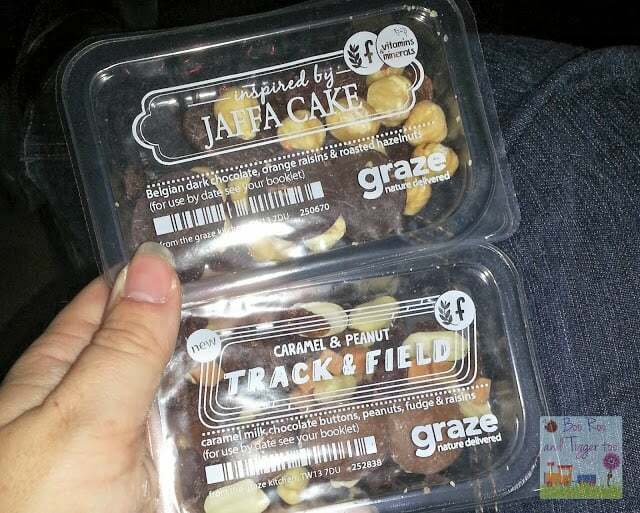 I have to say they were both rather yummy, however the caramel & peanut track & field treat box was my favourite of the two. (Please let me know if you’d like a referral code for Graze, the first box is free and you can cancel at any time). After enjoying the film, which was very good (you can probably guess where my nickname comes from now) we made our way home. 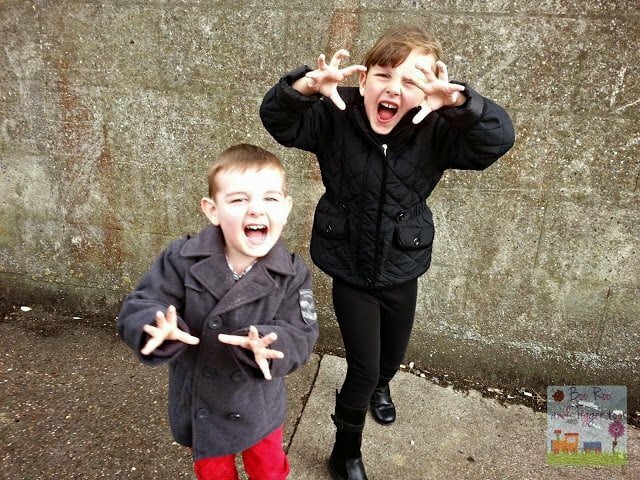 Although still a little excited by the film Roo and Tigger decided they would like to become monsters. Lord knows what passers-by thought but they were having fun, and certainly made the walk home more interesting.